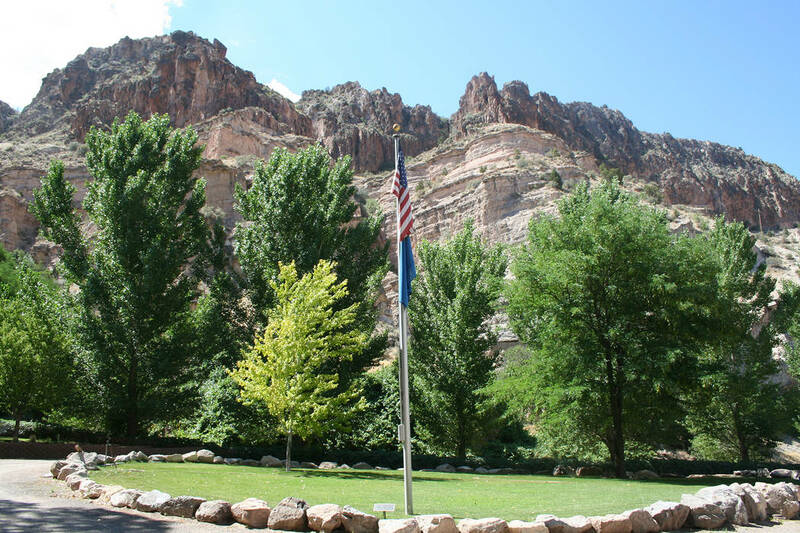 Kershaw-Ryan State Park in Lincoln County, just 3 miles south of Caliente, Nevada, is like visiting a private estate with its lush vegetation, manicured lawns, rose gardens, deciduous trees, canyon grapes and wading pool all well-watered from one of the nine natural springs. Deborah Wall Kershaw-Ryan State Park in Lincoln County has a network of interconnecting hiking trails, picnic areas, a spring-fed pool and a campground. Deborah Wall Kershaw-Ryan State Park, just south of Caliente, Nevada, was established in 1935 and features lush vegetation and nine natural springs. Once a private property, it was donated as a public park in 1926 by cattle rancher James Ryan, who bought Kershaw Gardens from the Kershaw family in 1904. It was updated in 1934-35 by the Civilian Conservation Corps, which installed picnic benches, toilets, a cabin and the spring-fed pool. Kershaw-Ryan became one of Nevada’s first state parks in 1935 along with Valley of Fire, Beaver Dam and Cathedral Gorge. In the main area, the canyon is flanked by volcanic cliffs. At the base you will find mature deciduous trees like cottonwoods, willows and Gambel’s oaks and a variety of fruit trees, including apples, pears and plums. There are also horseshoe pits and a sand volleyball court to enjoy. Because of the vegetation and the park’s natural springs, wildlife thrives here. The park is home to foxes, bobcats, deer and wild horses. There’s also a variety of birds, including canyon wrens, lazuli buntings, hummingbirds, Bulloch’s orioles, hawks and eagles. There is a network of hiking trails in the park, ranging from easy to moderately difficult. Best bets are the 1-mile Canyon Overlook Trail and the Horsespring and Rattlesnake Canyon trails, each one-half mile long. Keep a sharp eye out where you step or place your hands, because there are rattlesnakes that live here. Elevations in the park range from 4,312-5,080 feet offering temperatures 10-15 degrees cooler than the Las Vegas area, the ideal climate for this time of year. 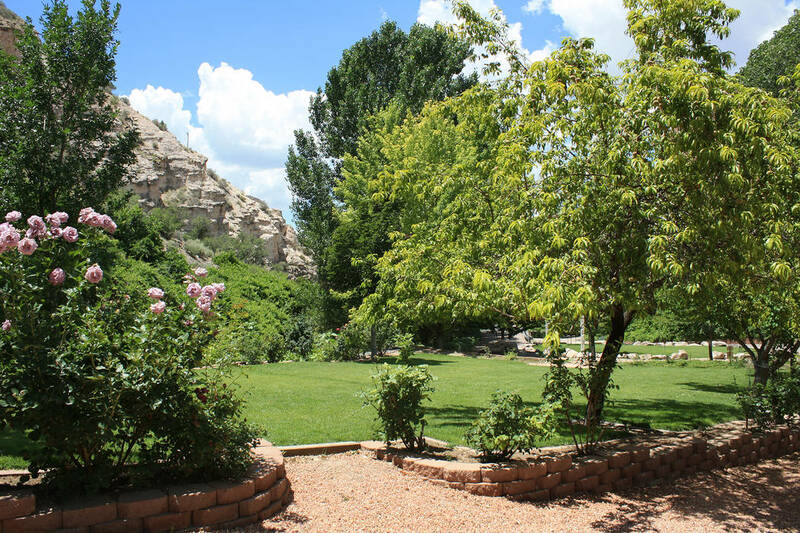 Nearby Cathedral Gorge State Park and the historic town of Pioche are both worth stopping at and taking a stroll. When visiting Kershaw-Ryan State Park, bring or wear trail shoes or sneakers with good tread for hiking trails, and a bathing suit and towel for the wading pool. You can visit and picnic at the park for a day or camp overnight. The campground has 15 RV/tent sites, each with a shade ramada, picnic table, firepit and grill. There are restrooms and showers. The maximum RV size is 30 feet; there are no hookups, but there is a dump station. There is a $5 daily entrance fee; camping is $15 per night. For more information or reservations, call 775-726-3564 or visit www.parks.nv.gov. From Boulder City take U.S. Highway 93/95 to Las Vegas and exit right to Interstate 15 north. Follow I-15 north for 21 miles, exiting onto U.S. Highway 93 north, the Great Basin Highway. Drive 128 miles to Caliente. Take a right onto State Route 317 and follow for 3 miles going left into Kershaw-Ryan State Park entrance road.